This is a guest blog by Marina Paych (paych) with tips for coordinating Drupal training events. Organizing a Drupal Global Training Days event is a great way to spread the word about Drupal, engage more novice developers, and increase adoption. If you haven’t heard about Drupal GTD, typically, these events are a one- or two-day training where experienced developers deliver sessions about Drupal and teach attendees how to create their first Drupal website or module. Why is this event called global? It’s because it is held globally on or around a certain date every quarter. Organizers in the North and South Americas, Europe, Africa, Asia, and Australia come together to create the GTD movement and show the power of community-organized events worldwide. Introducing Drupal 8 in Riyadh. Photo by @EssamAlQaie. However, Drupal event organizers face challenges while running trainings and conferences. The Drupal Global Training Days Working Group conducted a survey to find out common difficulties for organizers and how the working group can offer support. We came up with an online questionnaire first, and then held several in-depth interviews with organizers to validate gathered quantitative data. 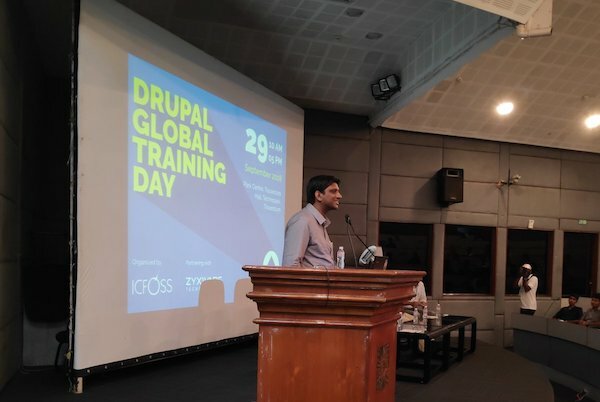 In this article, I’ve collected the most widespread challenges of Drupal Global Training Days organizers and brainstormed possible ways to overcome them based on my personal event organizing experience and good practices of other organizers. Let’s dive in. Group photo at GTD in Omsk. Photo by @ADCISolutions. What do we teach? A lack of ready-made resources is the most common concern of organizers worldwide. And I admit that it is an issue. There is no special folder with all the up-to-date and ready to deliver presentations for everyone to use. Most organizers hold GTD events on their local language: Spanish, Russian, etc., and that makes such PPTs hardly usable for other countries. All the organizers have different event programs due to different profiles of attendees: in some countries, the attendees are mostly beginners, in other countries – experts. These barriers make it harder (if not impossible) to have PPTs for all types of sessions and all types of audiences. However, there’s a way that you can overcome this problem: ask other organizers for help! Join the group at Drupal.org. There, you can create a new discussion and ask people to share their documents or at least their events programs, so you will be able to adapt the materials to your audience and goals. Also, there is a Slack channel, where you can do the same thing; ask other organizers for help. I did this when we decided to add a workshop to our GTD. Previously, we only had theoretical sessions, but then we wanted to deliver a practical workshop. Since we had never run a workshop before, I asked other organizers if anyone already delivered workshops. And Mauricio replied to me and shared lots of materials they’ve used in Nicaragua. We discussed his materials together with our team of speakers and we adapted some related to our agenda and goals. What was also very useful:a technology stack Mauricio uses on his events. We didn’t know what to choose to use in our workshop, so we also used tools that were suggested by Mauricio, which were helpful. Incorporating the experience of Nicaraguan GTD events allowed us to avoid starting from scratch, and we delivered a quality event. Also, there is a global initiative aimed to translate the Drupal 8 User Guide to different languages. If your local language is one of the following: Català, Magyar, Español, Українська, 简体中文, Français, Deutsch, فارسی, Bahasa Indonesia, 日本語 — you can use these materials for your training. If your language is not on the list yet, you can help translate it. The second widespread problem is the lack of promotional materials. The situation is similar to the first issue. Different languages and different profiles of attendees make it difficult to have a single set of materials to promote all GTD events. We have discussed what we can do during some of our GTD Working Group calls, and we realized that it is best for each organizer to create local promotional materials because they know their audience better and can transmit the GTD main goal — Drupal Adoption — in plain comprehensive language. But again, feel free to ask for help or advice in the group or Slack channel from organizers who have had success in promoting their events. Some organizers mentioned that they often don’t have people to deliver sessions due to different reasons: developers are busy with work, or are too shy to speak, or there is no one at all to deliver sessions. If your potential speakers agree to prepare and deliver sessions but are too busy to really engage, then schedule an event in advance and help them plan the timeline of preparation in a way that does not take many hours per week. Show them that if they start preparing in advance and they take it slow, they will be able to do everything simultaneously. But, of course, it will require your time to remind and check in for good results. If your potential speakers are too shy to speak, try to involve them gradually. Ask them to prepare a short internal report on something simple for the session topic. Then provide them with quality feedback and highlight the strong sides of their presentation. And then, when they are ready, invite them to a bigger event. It will take some time, but your efforts will pay off when your event achieves your goals. Find speakers from other Drupal companies in your region. They will get their company’s promotional support and you will get speakers with experience. The other option can be applied if you have a strong community in your city or region. Then you can invite people from the community to speak at the event. If the first way can’t be implemented, find remote speakers and make video calls or even make an online event. The Global Drupal Community is HUGE. I’m sure you will find amazing and motivated speakers for your event within the community. If this is a one-time thing, it might be just random low attendance. 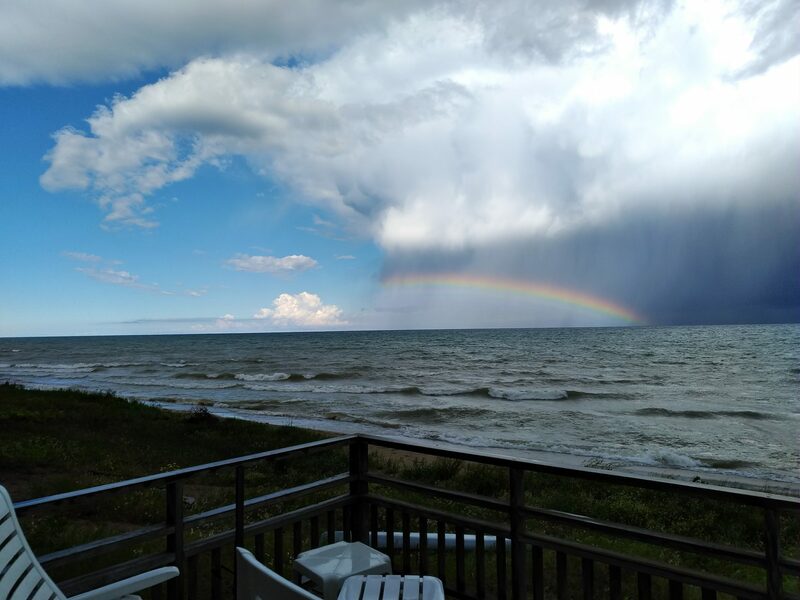 For example, the weather suddenly became terrible and people didn’t want to go outside at all. That is not specific to your event. Promotional materials are misleading: the expectations attendees had were not justified. Check that you deliver what you promise and improve your promotional materials and texts according to it. To identify the gap between the expectations and reality, organize a couple of in-depth interviews with the representatives of your target audience or add a question about expectations to the application form. Attendees servicing issues: usually, it is a couple of weeks between the date when a person sends an event application form and an actual event date. A person can forget about the event, can lose interest, or even change their plans. In order to avoid that, plan some touch points with people who have already registered. Shoot emails, tell about the sessions and programs, send reminders. Not exactly your target audience: if your promotional materials are distributed to channels that are popular among a wider audience (not only tech students but all students, for instance), you might receive many sign-ups but only tech people will attend. Be mindful when choosing channels for promotion; make sure your target audience is there. There may be other reasons why you have a low conversion rate: it’s difficult to get to your venue, the price (if an event is paid) is too high, the agenda is not that interesting, etc. But you need to find the reasons for your particular case. Talk to attendees, ask them what would improve their experience, and your conversion rate will increase when you implement their feedback. Just don’t forget to mention your improvements in your promotional materials so people know that you really listened to them. Organize the event in the office of an IT company: it is great if your office is good for events, but if it isn’t, you can approach bigger companies and offer a collaboration: you will organize the event and they provide a venue. Perhaps they can distribute their promotional materials during the event. Of course, it doesn’t necessarily need to be an IT company office; you can find any comfortable and beautiful venue, but IT offices are often cool and prepared for IT events. Organize the event in the University: you can try to negotiate with Universities to let you organize your event there without a fee. The Universities have two main advantages: they usually have all the necessary equipment for events and they also have tech students who can possibly attend your event. Find in-kind partners for your event: Drupal GTD is a globally supported event that attracts many people. You can use this to your benefit and find partners for your event who will provide you with goods or services in exchange for promotion. You can put their banner in the event venue. It won’t hurt your event to have a few banners, and you will be able to offer your attendees a more pleasant experience without any monetary investment. Usually, most of the event’s needs can be covered with the help of in-kind partners. It is much easier to find in-kind partners than sponsors. So, I would recommend you start with in-kind partners, especially if you have never sold event sponsorships before. Create a pool of companies who might be interested in your event. Find contacts for decision-makers from these companies. Come up with a list of benefits you can offer to them (promotion, employer branding, speaking at the event, etc.) and set a price. Create a customized proposal for each company. It’s best to set up a meeting with a company because it will allow you to talk with a person and see which of your benefits are more relevant for them, and provide more information. If some companies support your local Drupal or IT community, it is likely that they could support your event. The GTD events are not well-known in some regions, which creates additional challenges for organizers. It becomes harder to find sponsors, speakers, and attract attendees. If this is your case, the action that can help is for you to inform Drupal companies in your region about the benefits of participating in the GTD movement. Benefits like promotion of a company within the Drupal Community, with a possibility to be featured in blog posts and tweets, spotting on a Drupal events map, and even credits on Drupal.org! In order to promote your event and attract more attendees, you can focus on the fact that the same events are being organized on the same day all over the world. It usually inspires people and makes them curious to attend. Feel free to use the videos from GTD organizers (video #1, video #2) during your promotion or on-site at your event. Mr. Thomas speaks at GTD in Kerala. Photo by @zyxware. Event management is a complex and sometimes complicated process. But it is interesting and allows a huge amount of opportunities for improvement and experimentation. I’ve been organizing events of different scale for years, and I still find something interesting in the work. That is why I wish all the GTD organizers to be proactive, creative, and consistent. These qualities will help you make wonderful events and engage hundreds of people with Drupal! And the Drupal GTD Working Group (paych, lizzjoy, dinarcon, rgs, rachit_gupta, pendashteh, solomonkitumba) is always here to lend you a hand and help with advice. Feel free to contact me with any questions about this article or event management in general.